Blogger extraordinare Arjan Writes has put together an upcoming pop show of epic proportions, to include Databoy, She's the Queen, Sky Ferreira and Simon Curtis, for April 1st in Brooklyn. Yes, Simon Curtis. 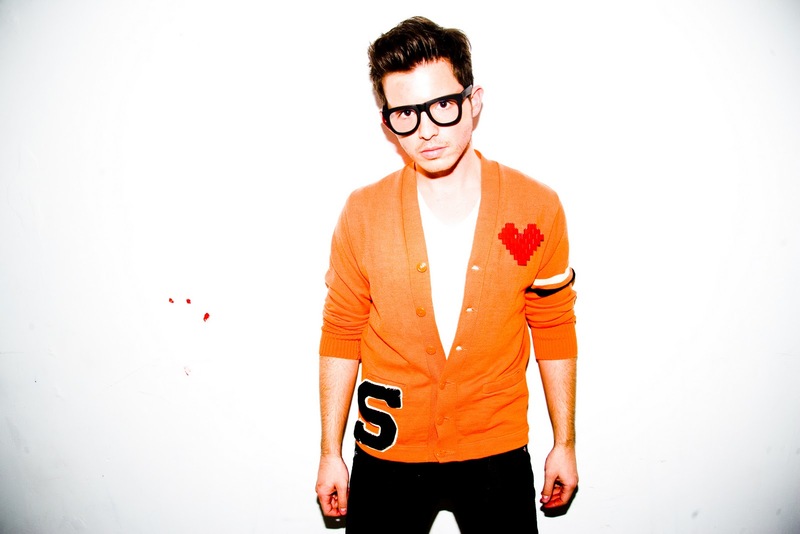 SIMON CURTIS. SIMON FRICKIN' CURTIS. Needless to say, my tickets are already booked. Expect an eye-witness recapping and hopefully some pictures (fingers crossed). Until then, I leave you with these links, for those of you who are still unaware of Mr. Curtis. - Details on his upcoming sophomore release are due any day now. -You can download his debut album, 8 Bit Heart, for free at www.simon-curtis.com. You can read my review of it right here. - You can read my interview with Simon's main producer, Jadion, from late 2009, where we discuss the 8 Bit Heart project right here. - The debut single from 8 Bit Heart, "Delusional", was #17 on my list of Top 2(00)9 Songs of 2009. - In addition to writing his own pop masterpieces highlighted on 8 Bit Heart and beyond, he also co-wrote some of the late Candy Coated Chaos's best cuts ("Utopia" anyone?) He also recently provided duet vocals to former cCc-er Ro Danishei's fab cut "Michelle" off her free album, End of the Rainbow.